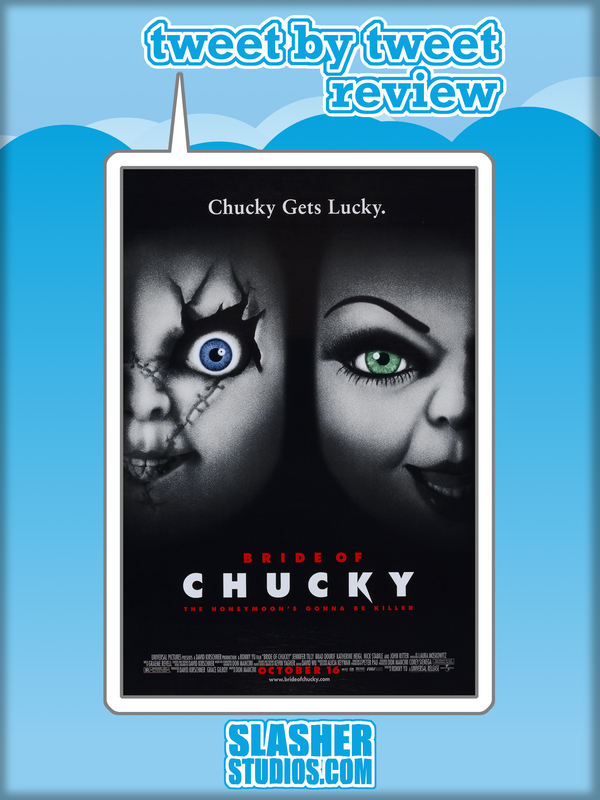 After a bit of a break from the “Child’s Play” series our twitter reviewer Tim Schilling is back with a review for the slasher comedy sequel “Bride of Chucky.” Tim loved the first three installments giving them 4 Teddy Heads each will this one live up to the rest? Let’s play with Chucky! Finishing up the Child’s Play series, starting with #BrideOfChucky. Only movie in the series I haven’t seen yet. 0:07 What. Katherine Heigl is in this. What. 0:10 Voodoo for dummies, why do I think that’s an actual book? 0:11 Sick lip… chain dude. 0:21 At least Chucky is honest when you ask him something. 0:30 Too much Chucky in this one. Less Chucky = better. 0:41 What would Martha Stewart do? 0:45 It’s just weed shut up. 1:11 Martha Stewart is a reccurring theme in this movie. 1:19 When Chucky and Tiffany kiss, it just weirds me out. 1:22 The world at this point should believe that Chucky actually was the killer and everything. 1:24 She just gave birth on that guy’s face, can’t say I’ve seen that before. Besides losing Andy & the campy feel, #BrideOfChucky is another great entry in the series. It kept continuity & didnt jump the shark anytime.